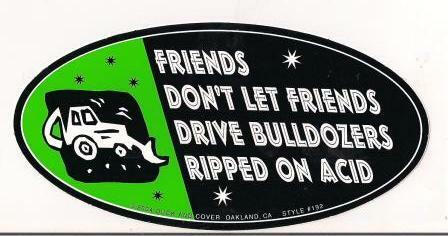 Friends don't let friends drive bulldozers ripped on acid. Oval shaped removable vinyl sticker measures approx. 3 1/2" x 7" . Our stickers with not so politically correct messages really make a statement.